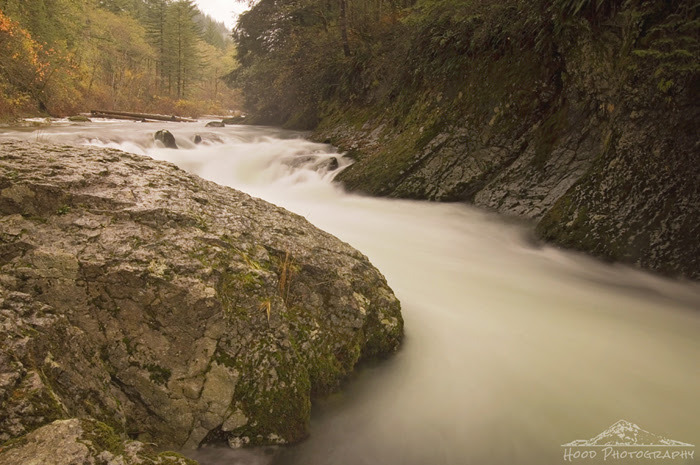 Reeder Falls is located on the Washougal River in Washington, not far from the Columbia River Gorge. There are many waterfalls in a very short stretch of the river. I had read about the area online and headed out on a very rainy Sunday to explore. Despite the crazy rushing water, the spot was unusually quiet. Seems like the tunnel-like rocks that surround the falls actually absorbed the sound instead of echoing it. One thing to be noted that the other online forums I gathered information from did not mention because I think it may be new -- there were literally dozens of no trespassing signs on both sides of the road near this waterfall. This will be a huge bummer for those people that frequent these nice swimming holes and river spots next summer. The whole area, in fact, was pretty well abandoned. Most likely due to these new restrictions. We only saw one other person on a motorcycle a few miles down the road. That is magical! Great job! river is a good choice for R.
Wow, beautiful image. The mist coming out from the bottom of the falls are amazing, like fog or stream. Very cool shot - love the effect of the water. Beautiful! I am afraid of them putting signs like that up everywhere here too, I hope they don't as the waterfalls are a big draw card.